The staff of Finlandia University’s Finnish American Heritage Center (FAHC) takes pride in “being Finnish” for a living. 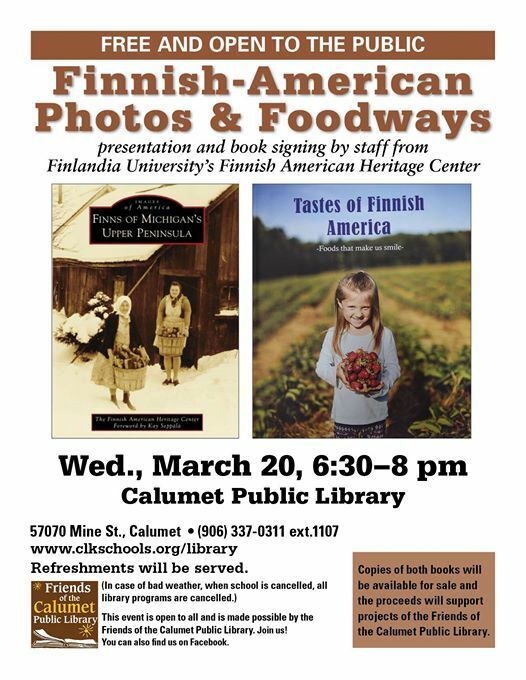 The FAHC actively preserves materials to tell the story of Finnish immigrants and their descendants in the US. 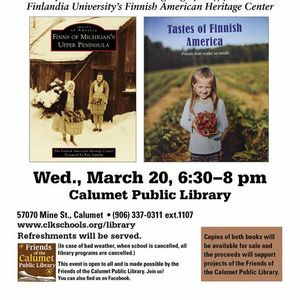 Their recent publications, Finns of Michigan’s Upper Peninsula and Tastes of Finnish America, offer a small glimpse at the FAHC’s extensive collection, while illustrating a spectrum of the experiences, both past and present, of Finns across Michigan’s UP, and some of the ways their traditions have survived. The authors will discuss the fun and challenges of condensing such rich historical information into the published works, and how they see both of these books as important historical documents. 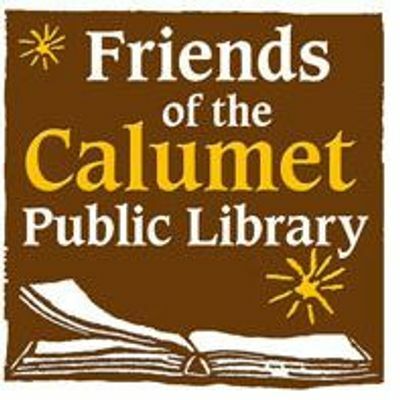 Copies of both books will be available for sale and the proceeds will support projects of the Friends of the Calumet Public Library.